It’s a Veri happy day…. 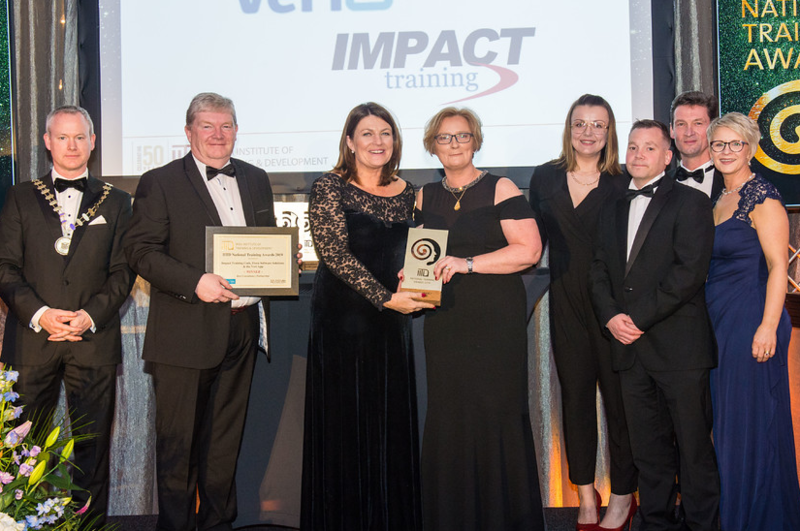 As an Enterprise Ireland supported Software Solutions company the Veri App have won prestigious National Award with the Irish Institute of Training & Development Awards. It was a David and Goliath Story with this high potential Start up 2 year old company beating off competition from the likes of E-Shop World, Aldi and Ulster Bank with their clients Impact training. In today’s business world compliance is everything, compliance of Health & Safety, GDPR and training records. Paper or spreadsheet-based tracking of this compliance is universally a nightmare, now it is streamlined to an app and dashboard to give companies intelligence in real time about compliance and governance. The first App of its kind – in 2017 it won the Award for Google Adopt a Start up. Best consultancy project category meant it was very much a partnership with clients Impact Training. Running an average of 30 courses concurrently across four ETB regions, it was imperative for Impact Training that valuable tutor time was not eaten up on administration. They have rigorous compliance and regulatory rules and it was imperative for the tutor to uphold these, but at the same time essential that valuable training time was not being cut short to allow for administration. Moving to the Veri digital platform was not a requirement for the market sector Impact Training is currently operating in, but their decision to do so shows the high regard they and the IITD judges have for this innovative Veri App. Impact Training chose the Veri App as it allowed for seamless and efficient recording and tracking of all training data, meaning the trainer could spend more quality time on training. The IITD National Training Awards is recognised as the premier Learning & Development event for industry. The purpose of the IITD National Training Awards is to promote excellence, best practice and innovation in Training and Learning & Development and to highlight the importance of this area in today’s business climate.